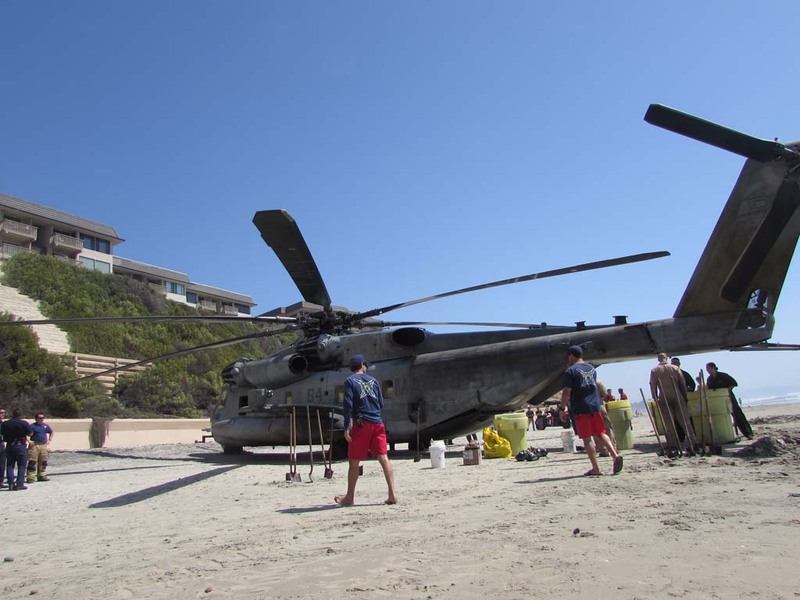 SOLANA BEACH—A marine helicopter made a precautionary landing Wednesday morning on the beach at 11:40 a.m. a few blocks south of Fletcher Cove in front of the Del Mar Shores Terrace complex. Nobody was hurt and the three Marines who landed the helicopter also flew it back to Marine Corps Air Station Miramar, where it’s stationed. Donald Bohanner, Public Information Officer for the Marines, said it was not an emergency situation and the pilot decided to land after the low-pressure oil sensor went off. The CH 53-E Super Stallion helicopter had been doing routine flights 14 miles off the coast when the sensor went off. Bohanner said some oil was spilled on the beach but a Hazardous Materials crew cleaned it quickly. Quick repairs were made to the helicopter and more oil was brought down and put in the helicopter so it could take off. Encinitas Fire Chief Mike Daigle said it was a relief the landing didn’t happen during peak beach season because not many people were on the beach. Bohanner said that had there been people on the beach, the pilot would have found another place to land. 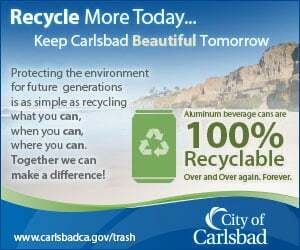 Members from the Coast Guard, Fire Department and the San Diego Hazardous Material team all came out to lend a hand. The helicopter took off at 3:30 p.m. to the cheers of the dozens of onlookers. Mechanics at Miramar will take a look at the helicopter to find out what went wrong. Fire Chief Daigle said it was good they landed so close to the seawall. “They did a great job because when you look at where they parked that thing, they put it in a great spot,” Daigle said. Crews did a quick repair to the helicopter and added oil. It took off around 3:30 p.m. The beach was cleared for the helicopter take off. A crew member helped signal the helicopter.